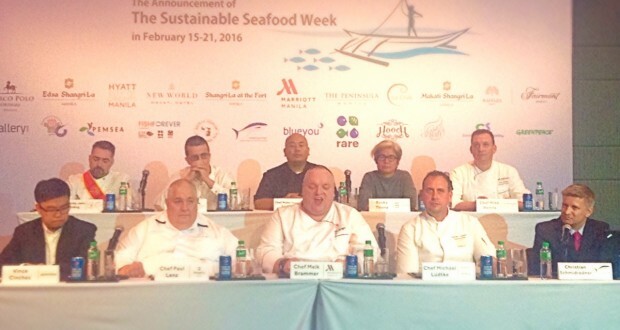 Going beyond corporate responsibility, Manila’s top hotels and restaurants advocate and support sustainable seafood initiative. In a bid to help save overfished Philippine seas, Manila’s top hotels and restaurants came together with environmental groups and fisheries NGOs to declare their support for the promotion of SUSTAINABLE SEAFOOD. 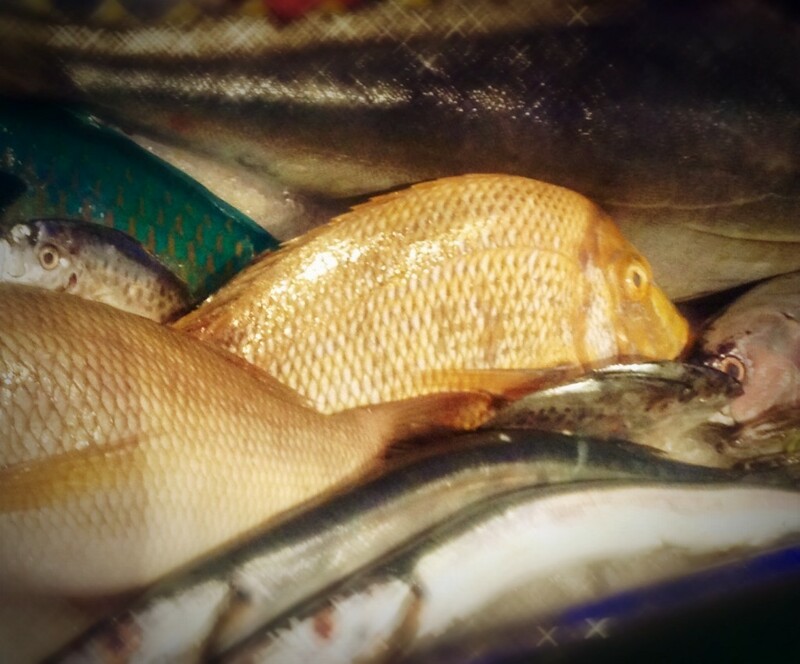 It was a landmark moment in the foodservice sector last November 24 at Manila Marriott Hotel, with a concerted initiative that involved groups who fully recognized that the marine environment has long been plagued by problems, including overfishing due to decades of unsustainable fishing practices. Participating and supporting organizations include Bureau of Fisheries and Aquatic Resources, Meliomar Inc., Fairmont Hotel, Hyatt City of Dreams Manila, Marco Polo Ortigas Manila, Marriott Manila Hotel, The Peninsula Manila, Shangri-La Hotels, Fairmont Raffles, New World Makati, Alab, Le Club, Lulu and Hooch, Vask, Disciples Escoffier International Asia, Blueyou, Centre for Sustainability, Greenpeace Southeast Asia, PEMSEA and RARE Fish Forever. Resorts Philippines Paul Lenz, Executive Chef of Manila Marriott Hotel Meik Brammer, Hyatt City of Dreams Manila Executive Chef Michael Ludtke,Executive Chef of The Peninsula Manila Mike Wehrle, Vice President for RARE Philippines Rocky Tirona, Chef Myke Sarthou of Alab, Executive Chef of Marco Polo Ortigas Manila Lluis Cantons and President of Disciples Escoffier Philippines Philip John Golding. With more than 90% of fish stocks in the Philippines being overexploited or depleted, and destructive and illegal fishing wreaking havoc on the marine environment, returns per catch effort are at the lowest level ever recorded. Similarly, many aquaculture operations use unsustainable sources of feed and pollute aquatic ecosystems with chemicals and antibiotics. Now more than ever, restaurants and hotel groups recognize their increasing responsibility to procure from sustainable sources and to educate their consumers about the need for sustainable seafood. “Our commitment is part of a global effort to sustain fisheries resources and protect our oceans, with the recognition that our restaurants and hotels have the responsibility and the power to address this issue from a direct supply chain perspective,” explains Chef Meik Brammer. 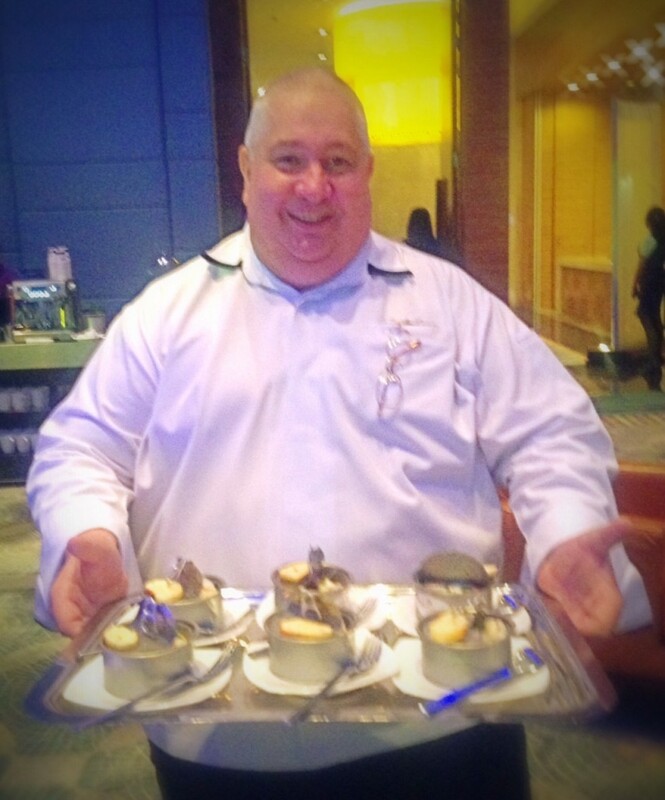 Chef Paul Lenz helped serve the Purse-Eyed Scad, creatively plated in tin cans for convenience. 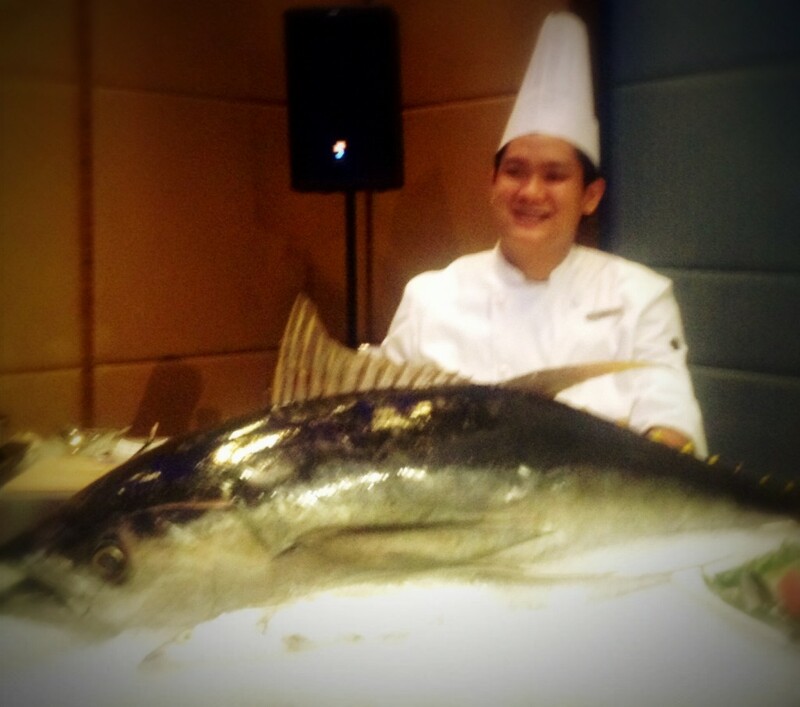 Makati Shangri-La also served some Flying Fish for the guests.